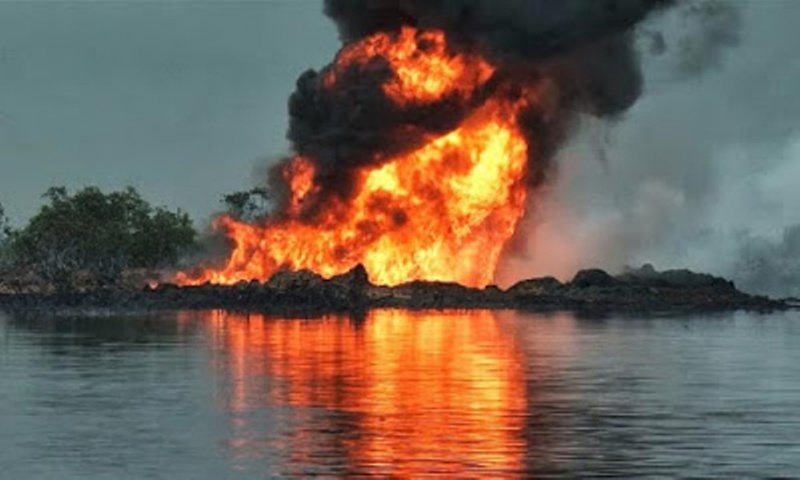 Barely a day after the militant group in southern Nigeria, the Niger Delta Avengers threatened what it termed “something big”, reports say a major pipeline operated by Italy’s Eni, Agip has been attacked in Bayelsa State. This follows the attacks on Chevron’s Estravos pipeline, and another on the Nigerian National Petroleum Corporation pipelines, earlier this week. The Nembe pipeline is said to carry the bonny light crude exported by Royal Dutch Shell, though the company is yet to make any official statement on the incident. The Niger Delta Avengers, a new group of militants in the Niger Delta, had announced on Twitter earlier on Saturday that it had hit the Nembe pipeline. Local sources said the attack took place at about 2:00a.m. local time on Saturday. The militants had posted a warning on Twitter that reads: “Watch out something big is about to happen and it will shock the whole world”. Shell declared force majeure on Bonny Light loadings after a previous attack on the Nembe creek trunk pipeline, but some exports have continued with delays caused by repair work.